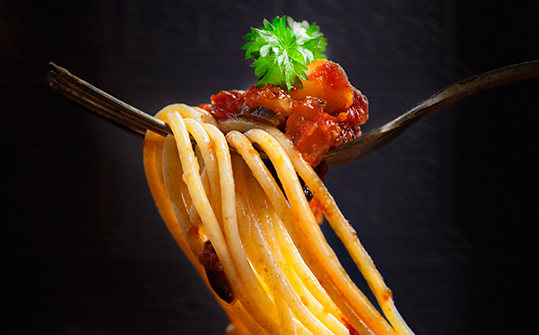 Our amazing Italian fare and Pasta Bar is prepared to order by our professional, uniformed chefs. Most pasta selections can be substituted with Organic Whole Wheat Pasta, and Vegan dishes can be prepared upon request. Bring the taste of a true Italian Cuisine to your event with a delicious pasta bar. Catering At Your Door brings multiple menus of vegetarian and non–Vegetarian pasta dishes for weddings, corporate events, and family functions in Baltimore, Rockville, Chevy Chase, Gaithersburg, Potomac, Silver Spring, Darnstown, and other regions of Maryland. Catering At Your Door also services Pasta Bar Catering in Alexandria, Fairfax, Vienna, Falls Church, Chantilly, Reston, Manassas, and other areas of Virginia. Inquire about our Heavy-Duty Plasticware or our China and Flatware Rental Services. *Additional Pasta selections can be ordered for an additional charge. Additional condiments on the side.